I am so excited to finally announce something I've been working on for months! Some of you may remember that I had a limited edition run of pins I sold on Instagram a few months back. Initially, it was only meant to be sneak peek before I offered them for sale on the blog. But it turns out I sold all my pins that weekend. Well, I promised I would let everyone when I made some more, and I now have. 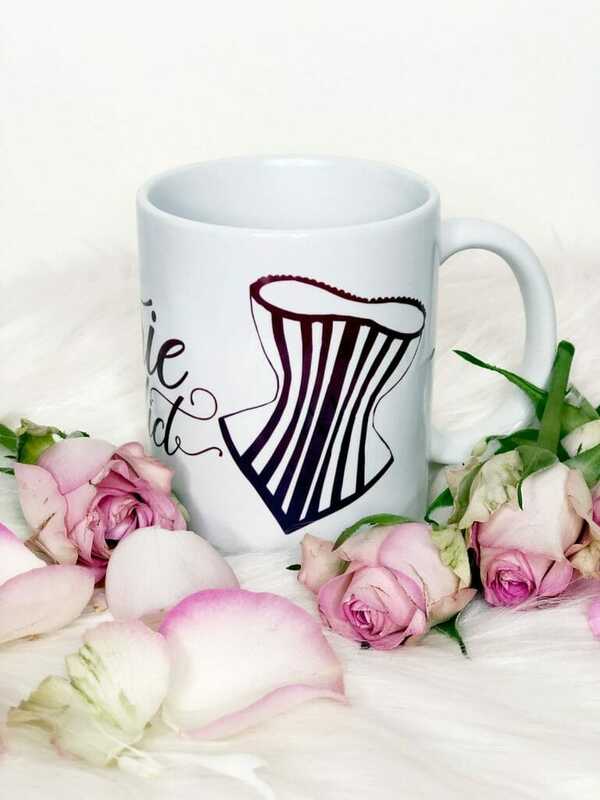 In addition to pins, I've also made some Lingerie Addict tote bags and mugs. 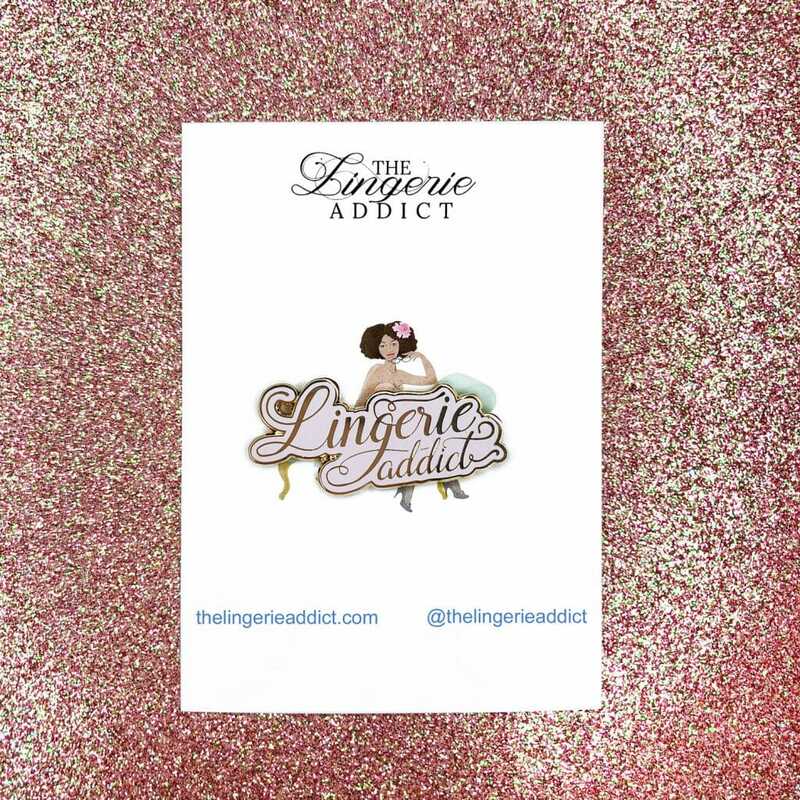 So without further ado...The Lingerie Addict Shop is now officially open! It was really important to me to offer high quality items you could actually use, and not just cheap, throwaway things with my name on them. 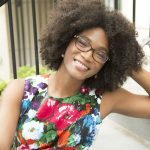 That's why the tote bag is made from super sturdy canvas with extra durable handles, why the mug is both microwave and dishwasher-safe, and why the pin is made from jewelry-quality hard enamel with gold metal accents. 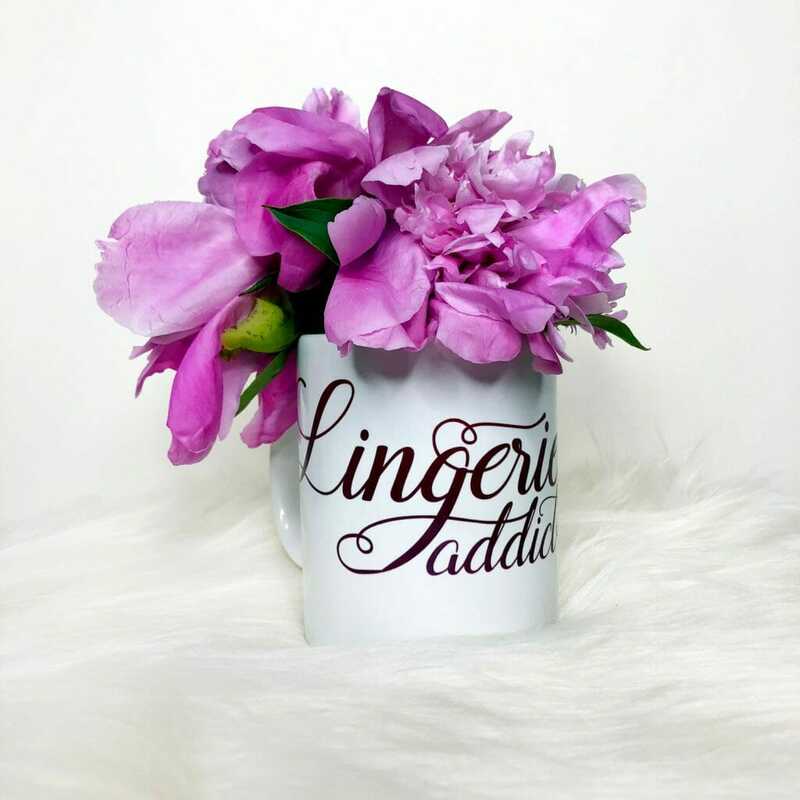 Everything here is something I use or wear myself, from drinking my morning tea from the mug to using the tote when I'm running errands. 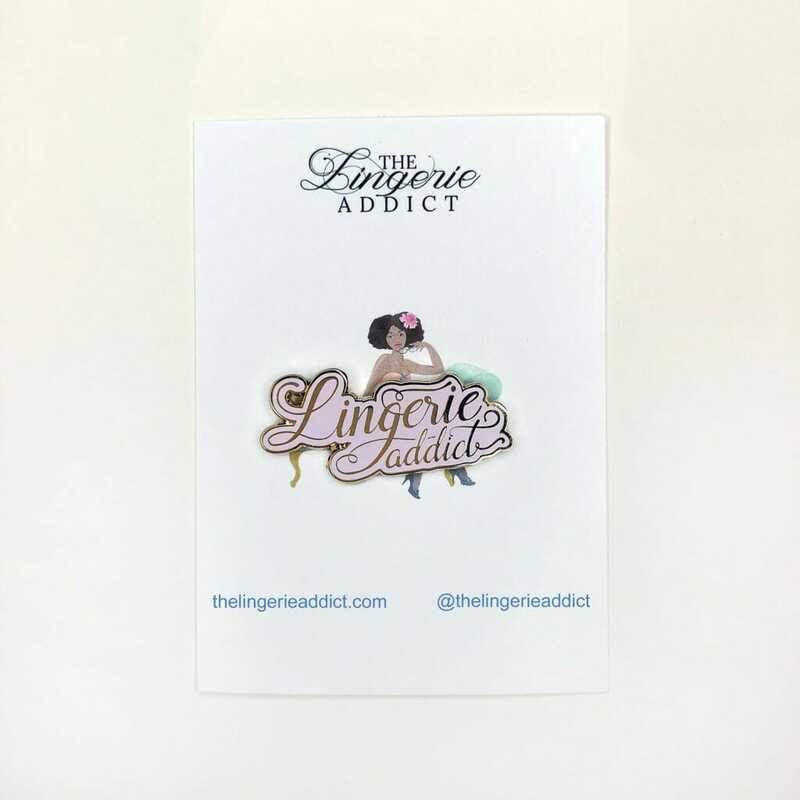 So if you want to express your lingerie addiction in another way, check out TLA store and pick up a little gift for yourself (or the other lingerie addicts in your life)! Happy Shopping! I absolutely wanted one of those pins, so this is great news!